>I went to the doctor today and am moving forward with Clomid on my next cycle! I’m nervous, but excited to get this process going. Babysitting two adorable little girls last weekend made my yearning for a baby so much stronger (if that’s even possible) and I am SO ready for the next step. We are sooooo nervous for the show to air on Saturday!! People have been asking if we are having a viewing party, but we’re only having our parents over because we are too embarrassed to watch it with a big group of people. Please watch, but please don’t judge. It is super awkward being filmed and we have no idea how they edited it. It is pink! And it is SHAPED LIKE A HEART!! 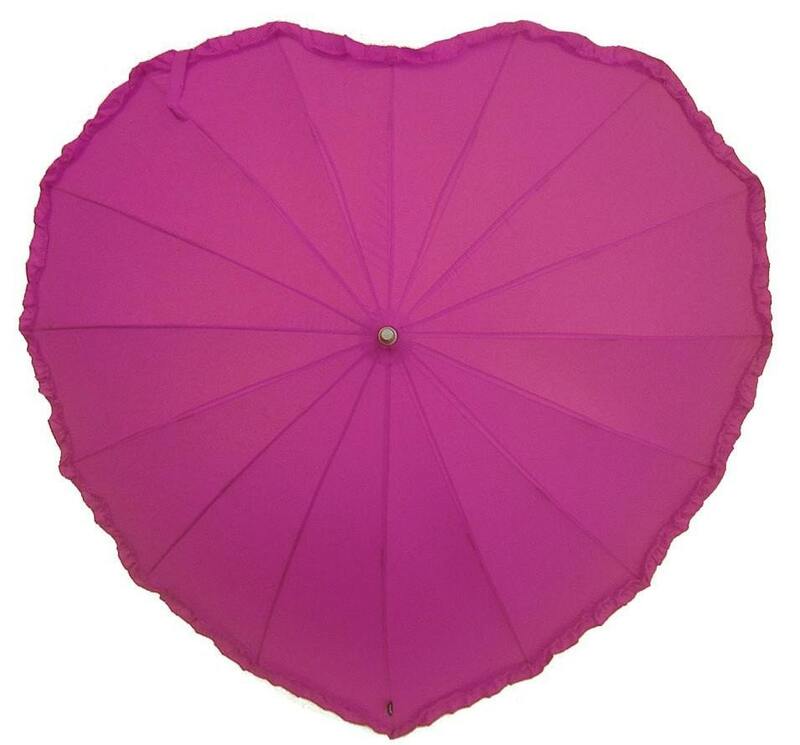 I wish I had some extra cash laying around because I would totally snag one of these from Esty seller Umbrella Heaven for $35. 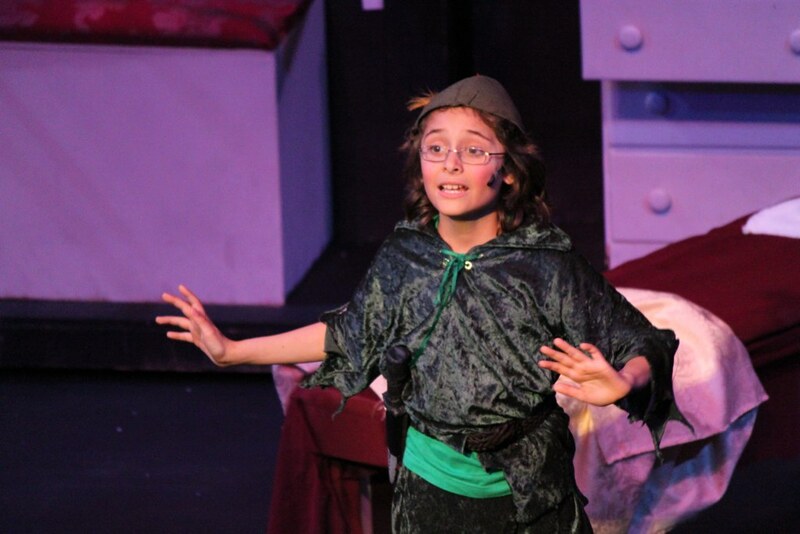 My little brother starred in Peter Pan last weekend and was so adorable! I can’t wait until he’s rich and famous. Only two more days left of the workweek!! I get Cesar Chavez day off, which also happens to be April Fool’s day this year. Yay for three day weekends! >Congrats on the next step in fertility! It's an exciting and scary time. 🙂 And after flipping through Styled, now I'm all inspired to have some people over. I never have people over. But now I have this insane urge to host an Easter brunch for the non-church/non-Christian crowd. >I'm so excited for you and the next step!!! You're going to make a wonderful mom. And Matteo is sooo adorable as Peter Pan. Wow. He's so grown up! >Okay, so I just watched your episode of SOAS and then read Emily's blog and found your through the comments. Please don't think I'm a crazy stalker. I'm not sure if you've started on Clomid yet or not but I just wanted to assure you that it's not that big of a deal and not to be worried about it. It's as simple as just taking a pill for five days straight and I saw little side effects, just some hot flashes and increased PMS symptoms. Of course, everybody's body reacts differently but you shouldn't be scared. Unfortunately, Clomid only helps you ovulate and doesn't always result in pregnancy no matter how much you want it to. Hopefully you guys have good results with it.